The battle for the uptake of next-generation laptop platforms will reach a crescendo when AMD's Puma and Intel's Centrino 2 are officially released. Puma will arrive first, we reckon, with Centrino 2 following in August, after unexpected delays due to certification problems. Centrino 2's later-than-expected showing to market didn't deter Gigabyte from demonstrating its W576V laptop on pre-show day at COMPUTEX 2008, held in Taipei, Taiwan. 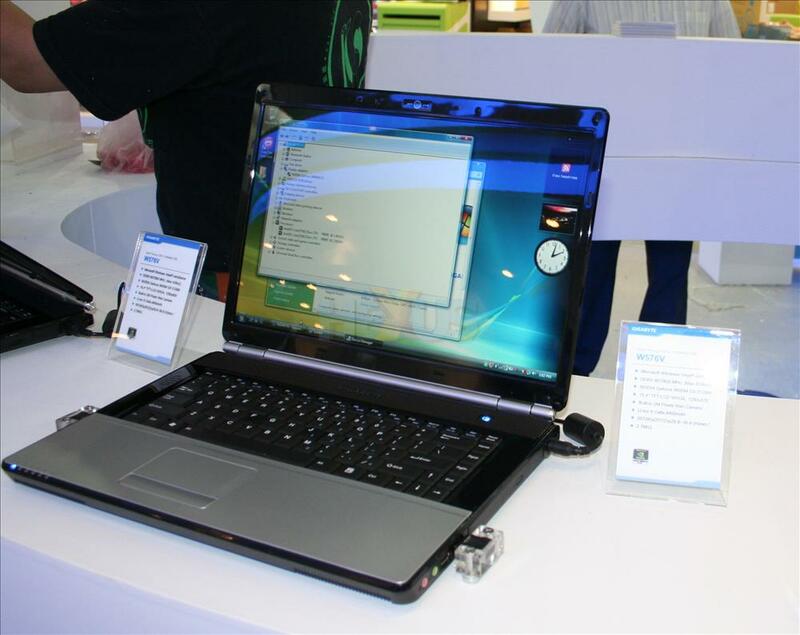 Powered by an Intel Core 2 Duo P8600 Penryn-based CPU - clocked in at 2.4GHz - with graphics support from an NVIDIA GeForce 9600M discrete GPU, the Gigabyte notebook isn't quite a fully-fledged Centrino 2; it utilises a Realtek WiFi card rather than Intel's, whose certification appears to be the main culprit in delaying the launch of the platform. The laptop's 15.4in screen ships with a lowly 1,280x800 resolution, so the GeForce graphics card should have enough grunt to enable high-quality gaming at the native resolution. Ubiquitous DDR2 is used instead of expensive DDR3, which is also supported by the Montevina platform. No word on pricing or availability, but Centrino 2 should be a straightforward upgrade from most laptop manufacturers currently producing Centrino (Santa Rosa refresh) SKUs. The new PM45 chipset, sans integrated graphics in this case, is the beating heart of Centrino 2. Looks very nice. 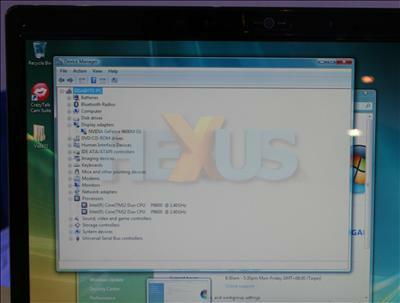 But 1280x800 on a 15" laptop beast liek this? Thats just plain wrong. And the GPU/gaming is not justification for that screen size. Shame, may well have bought one of these if the res was better.